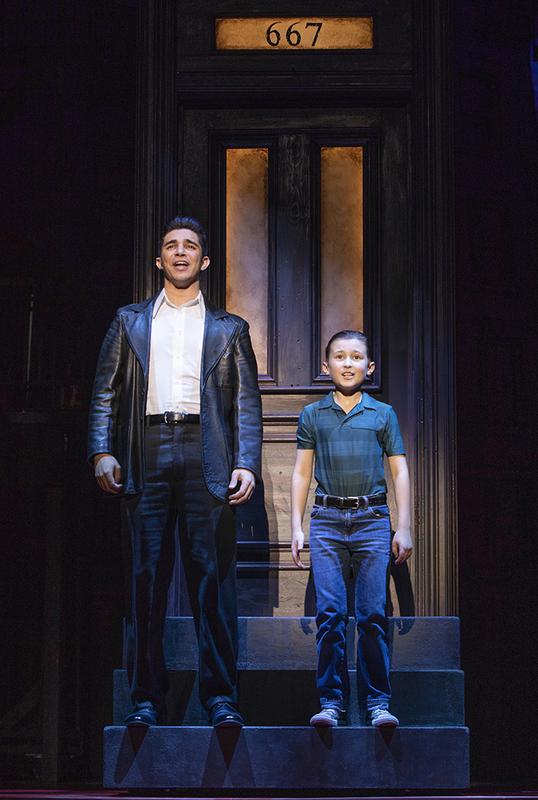 Joe is thrilled to reprise this iconic role after playing Sonny in the Broadway production. 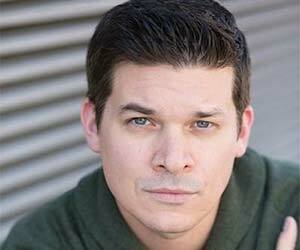 Other Broadway: Danny Zuko in Tommy Tune/Jeff Calhoun’s revival of Grease! 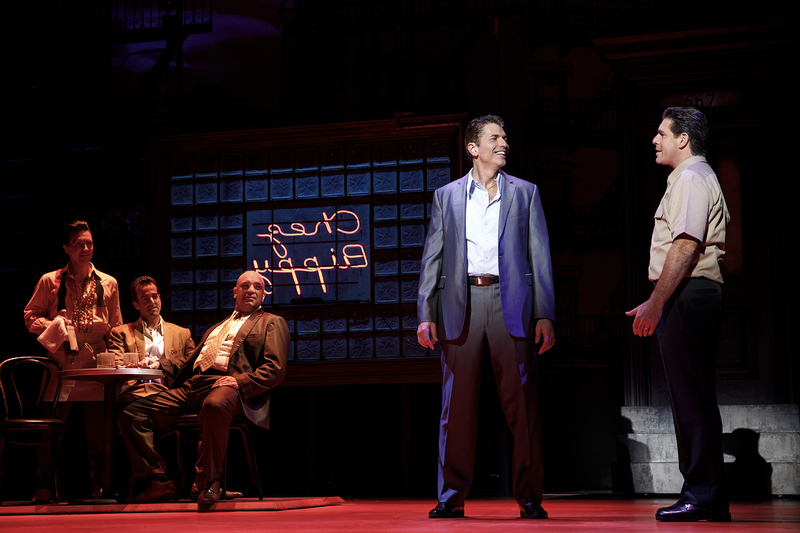 Vegas: Jersey Boys, (Gyp). 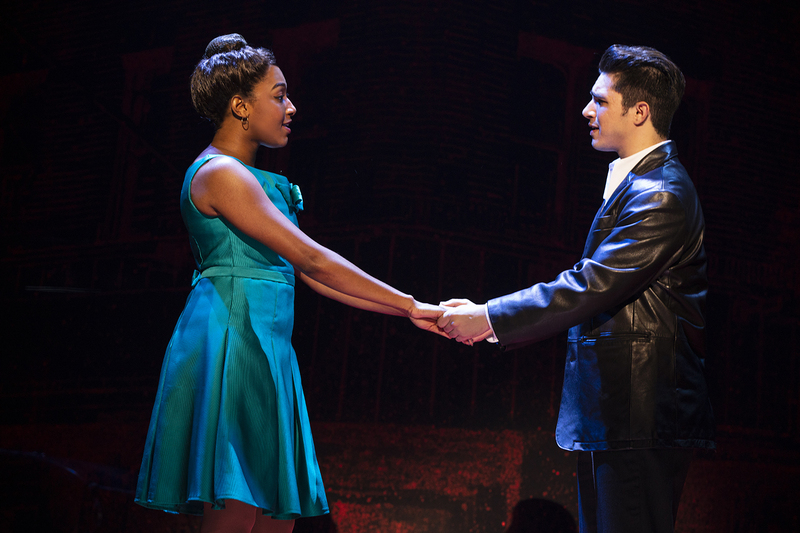 National tour: Grease! 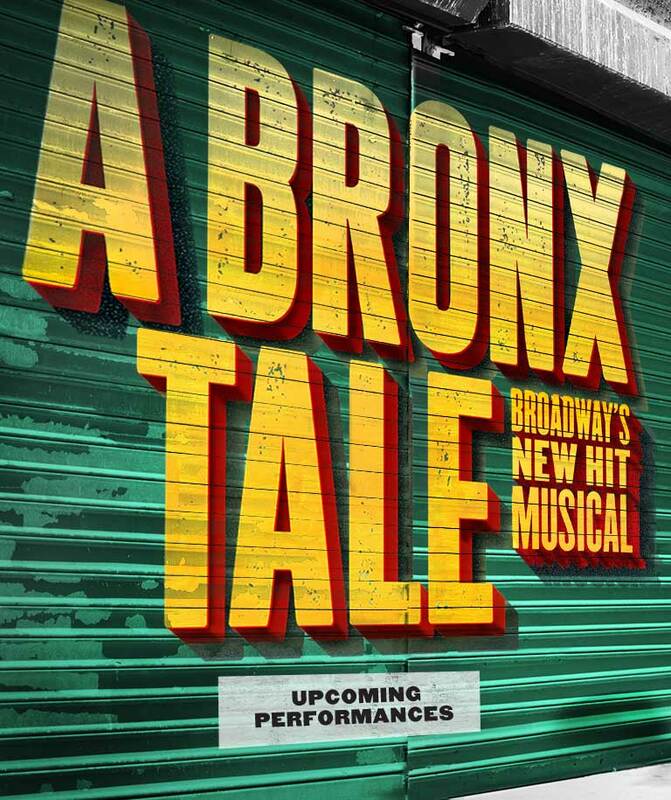 World Premiere of A Bronx Tale – The Musical, Paper Mill Playhouse; Off-Broadway: Tony n’ Tina’s Wedding, Nunsense, I Come For Love, (NYMF). Regional: Guys n’ Dolls, (Macau Int’l Music Festival), Beauty and the Beast. TV: “Another World” (Joe Carlino, series regular); “All My Children,” (Paolo Caselli), “Law & Order.” Joe’s the voice of “Ray Boccino” in Grand Theft Auto IV. As a film producer: Migraine, (short), 2012 Tribeca Film Festival. Thanks to Chazz Palminteri for his friendship and support, and to the entire creative team. Best wife and kids ever: Nicole, Joseph, Nicholas, and Mario. 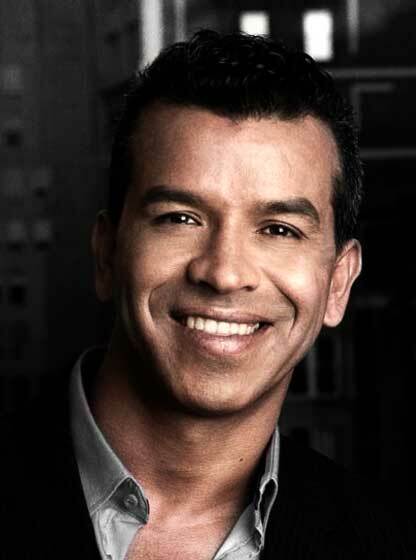 Richard comes straight from playing Lorenzo in the Broadway production of A Bronx Tale. 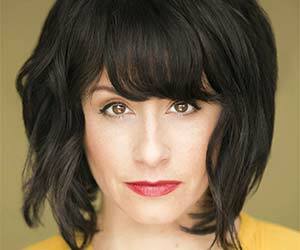 Other Broadway credits include: Jersey Boys (Tommy Devito), Wicked (Fiyero), Legally Blonde (Warner), The Wedding Singer (Glen Guglia), Hairspray (Link), Aida (Radames), Saturday Night Fever (Tony Manero), Rent (Roger), Matilda (Sergei), The Prince of Central Park (Prince), Macbeth (Boy Macduff), The Sound of Music (Friedrich), Teddy and Alice (Archie). 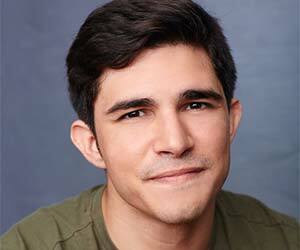 National Tours: Wicked (Fiyero), Saturday Night Fever (Tony), Footloose (Chuck Cranston), The Sound of Music (Rolf). Film: Life of an Actress, The Factory, Any Day Now, Red light August. T.V. 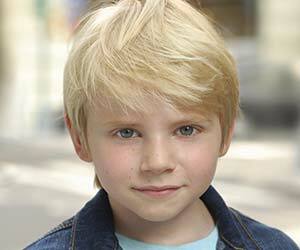 credits include: “Blue Bloods”, “Instinct”, “Dietland”, “Kevin Can Wait”, “Elementary”, “All My Children”, “The Babysitter’s Club”, “Toonces” and “Friends”. 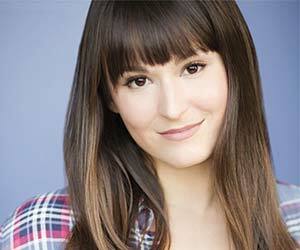 Numerous Off Broadway, Commercial and Radio credits. 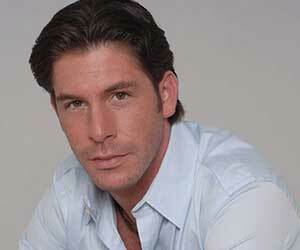 His favorite roles to date are that of husband and father to his amazing wife and son. @richardhblake on Instagram and twitter. Joey is jazzed to be here. 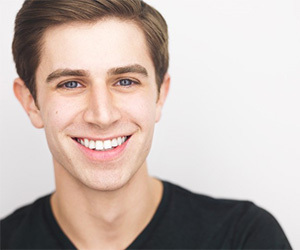 Tour: Newsies Regional: Newsies (Pittsburgh CLO and Sacramento Music Circus), Witches of Eastwick (Ogunquit), Ragtime (Westchester Broadway), A Chorus Line (Connecticut Rep), Into the Woods (Studio Tenn). For Mom and Jos. 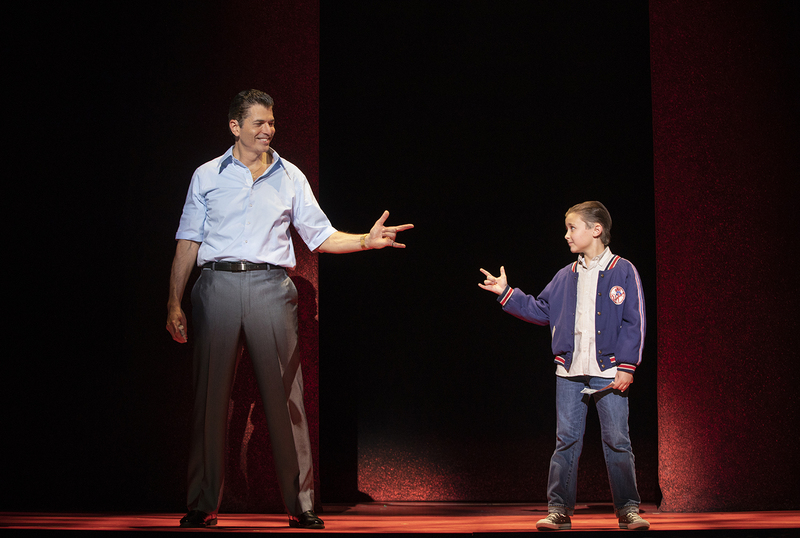 Broadway: A Bronx Tale, Rocky, Jersey Boys, A Chorus Line (revival) Nat. 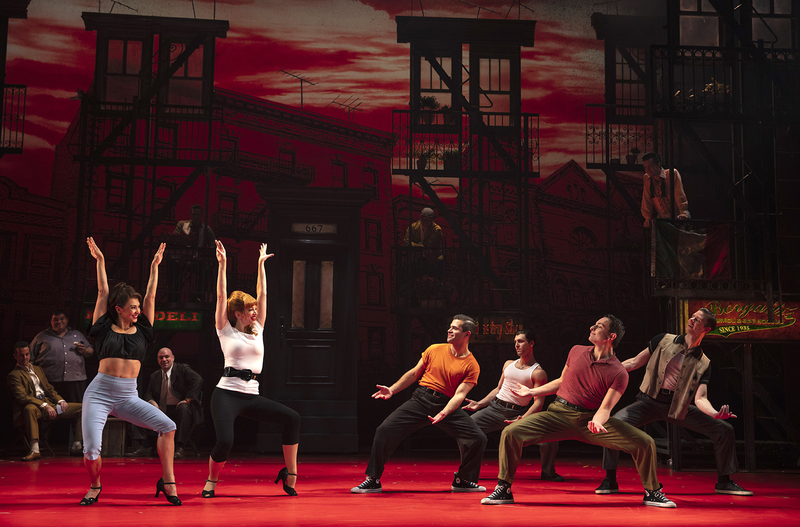 Tours: West Side Story, Anita (2010 dir Arthur Laurents); Jersey Boys (Chicago, 1st Nat, Vegas); Les Misérables; Mamma Mia. 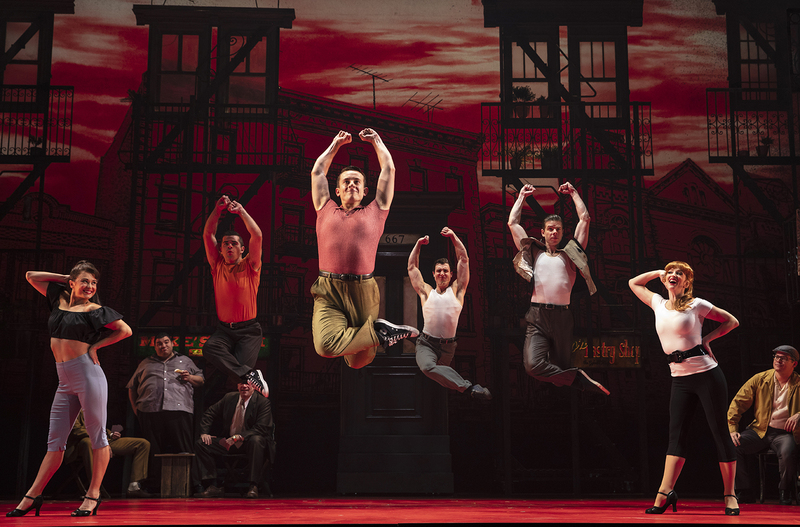 Favorite regional: Evita, Eva (St Louis Rep); Jersey Boys, Mary (The Muny); Guys and Dolls, Adelaide (TUTS); Bye Bye Birdie, Rosie (Jeff nom); West Side Story, Anita (Jeff winner); Drury Lane Theater in Chicago. Other: Old Globe, Goodspeed, Asolo, Walnut Street, ATL. Stewart Talent NY. 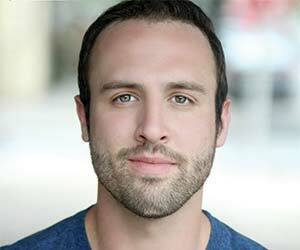 Shane is extremely grateful to make his professional debut in this awesome role and production! 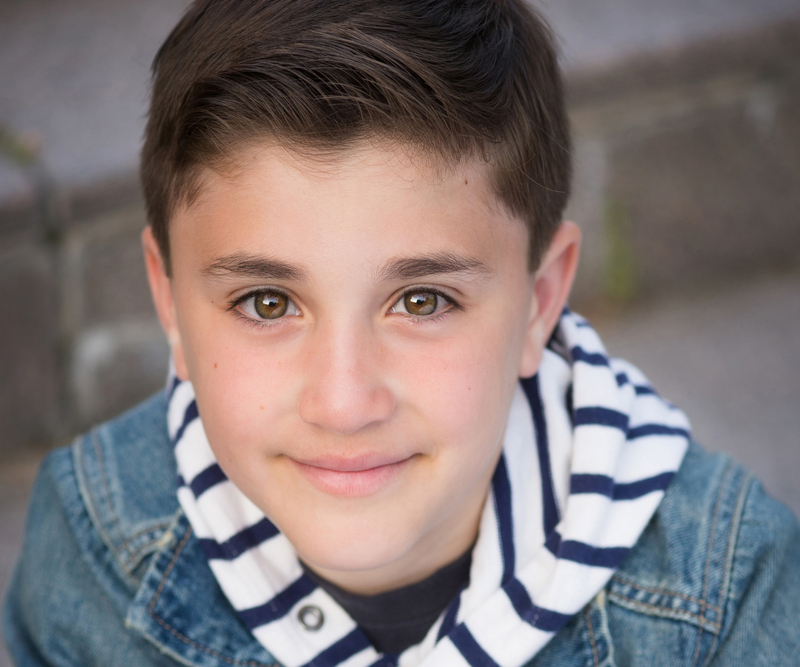 Other favorite performances include Willy Wonka Jr. (Charlie), “PA Live!” (television show), workshops inspired by Disney’s The Descendants (Ben), Frozen (Hans) and Shawnee Riverfest. Huge thanks to Marc, Anya, Paradigm, Tara Rubin Casting, the creative team, DANJ and all of his dance teachers, Christina, Danny, Midge, mom, dad, Cassidy, family/friends, and God. 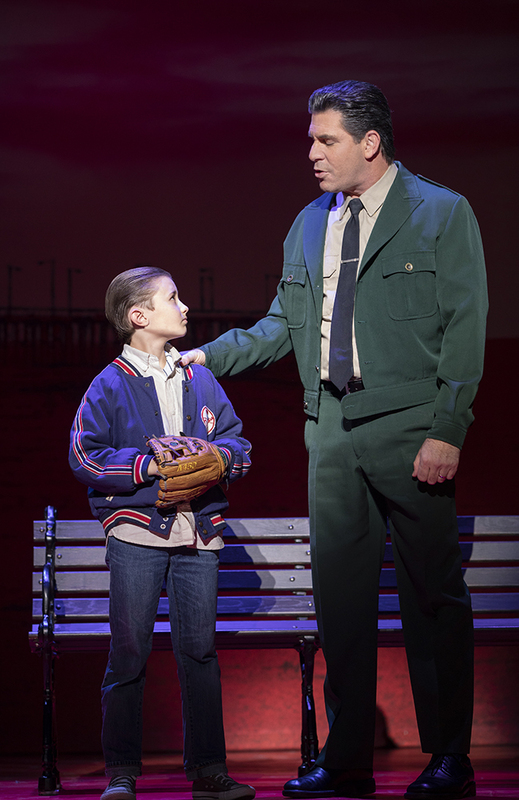 Brigg is honored to make A Bronx Tale his national tour debut. He is a native Syracusan and an avid Yankee fan. 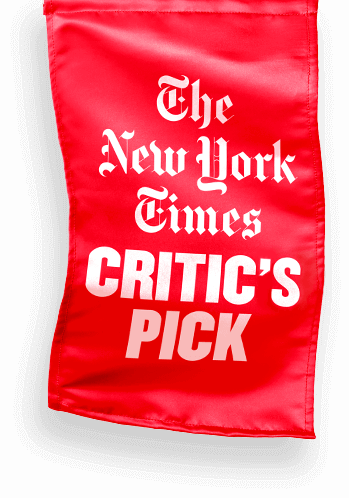 Special thanks to Barry Kolker, RKS Management, Tobi Silver, Tara Rubin Casting, Thom Miller, Rebecca Karpoff and especially my parents, siblings, and grandparents for believing in me! 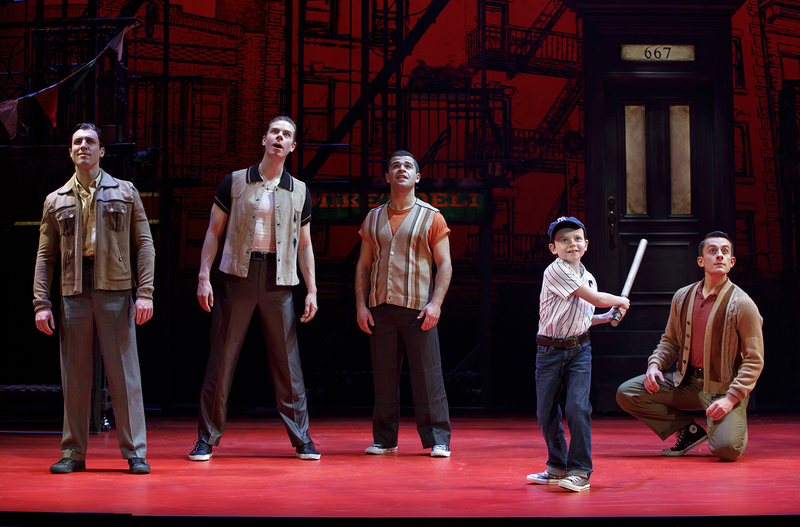 Mike is thrilled to be a part of A Bronx Tale on Tour! 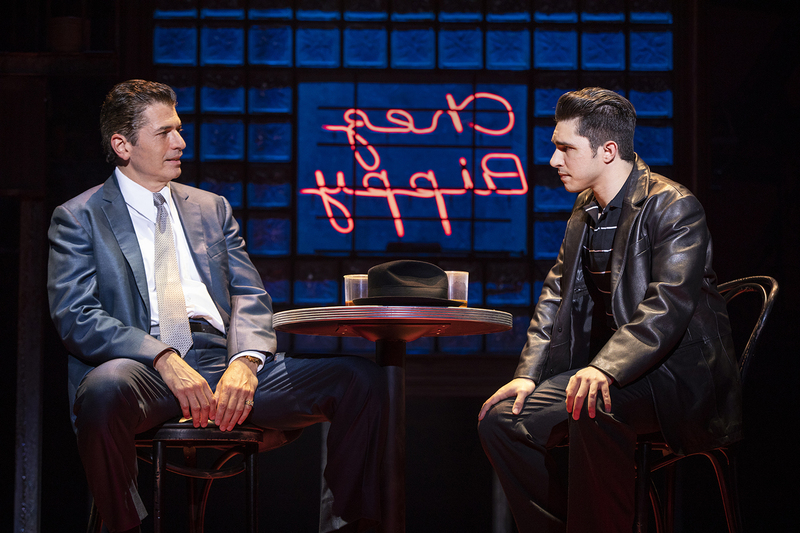 Highlights: Original Cast Jersey Boys, Las Vegas (Swing); 1st Nat’l Tour, Rock of Ages (Joey Primo); North American Tour of Footloose (Ren); Ghost, Maine State Theatre/Fulton Theatre (Carl) TV/Film: “Discovery ID”, “Orange Is The New Black”. 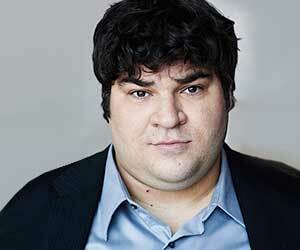 Most recently he finished a reading in NYC of a new musical, Fat Kid Rules The World. 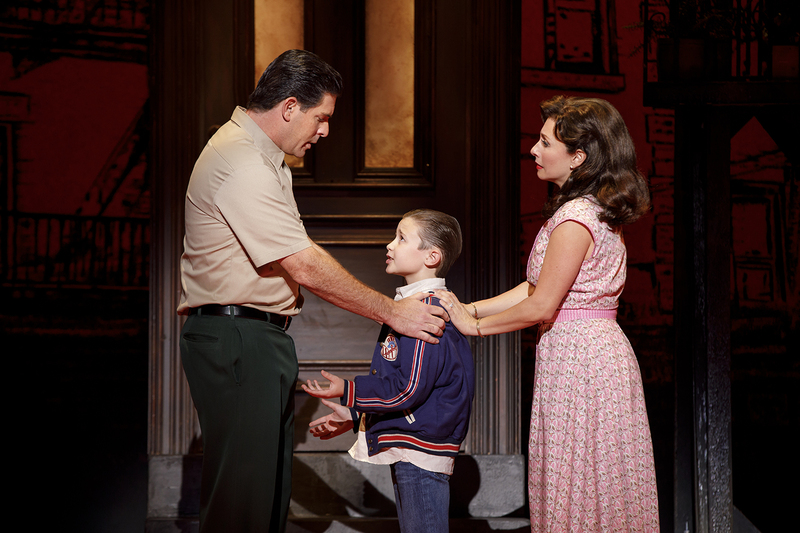 Special thanks to Merri, the entire Bronx Tale team, friends and family, and Pilar for her endless support. This ones for you Dad! New York: Forever Plaid: The Event (Smudge), Stardust Road (Various Roles), Ni**er/Fa**ot (F), All American (Edwin Bricker), The Nutcracker and I (Nutcracker). Regional: A Comedy of Tenors (Max), Mary Poppins (Bert), Forever Plaid and Plaid Tidings (Smudge), Deathtrap (Clifford Anderson), Spamalot (Herbert/Historian/Fred), A Chorus Line (Bobby), Saturday Night Fever (Pete/Jay), Fiddler on the Roof (Sasha). TV: “Z” (Amazon), “Boardwalk Empire “(HBO), “Red Oaks” (Amazon). 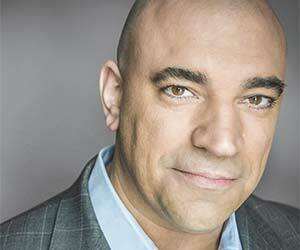 SeanWBell.com. 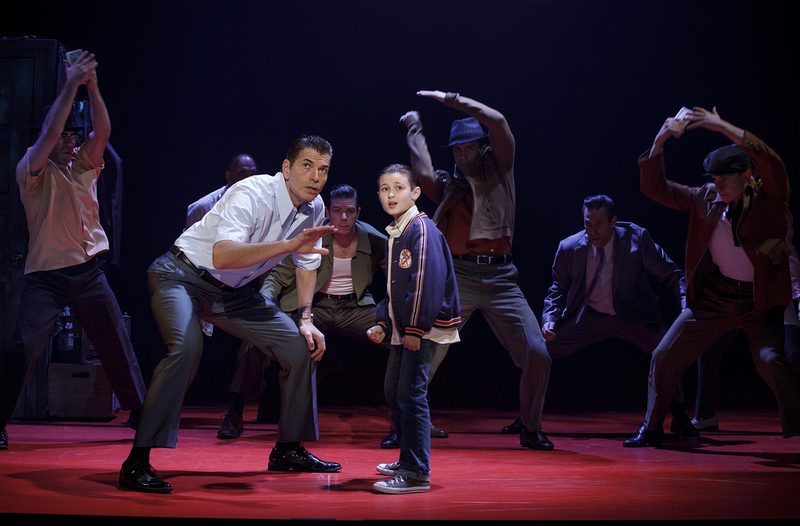 Broadway: Bob Crewe Jersey Boys (original cast), Contact (original cast), Ain’t Broadway Grand. NYC: Carnival & Ziegfield Follies of ‘36 (City Center Encores), A Christmas Carol (Madison Square Garden), Up The Rabbit Hole (Theater for the New City, Regional: John/James Jeckyll, Love!Valour!Compassion! 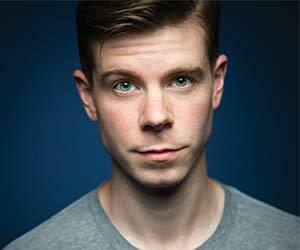 (Provincetown Theater); Henry Higgins, My Fair Lady (New Bedford Theater Festival). Broadway: Bring It On (U/S “Campbell”/”Eva”). 1st National Tours: Flashdance (U/S “Alex”), Bring It On. 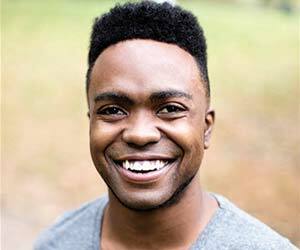 Selected Regional: Jesus Christ Superstar (Lyric Opera Chicago), “Annette” in Saturday Night Fever (Ogunquit Playhouse/Gateway Playhouse/Arts Center of Coastal Carolina), Cutman: A Boxing Musical (Goodspeed), A Christmas Story (Fulton Theatre). NYC: “Virginia Hill” in Ben, Virginia, and Me: The Liberace Musical (Acorn Theatre). TV appearances include back up singing for Demi Lovato/Jonas Brothers (ABC) and dancing for Akon/Lonely Island (Comedy Central). BFA University of Michigan. Love to Mom and Dad. Insta: @haleyhannah25; haleyhannah.com. 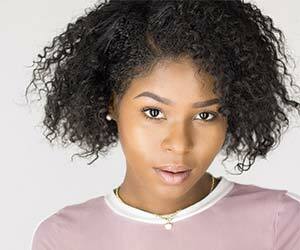 Ashley is a Washington DC native and a graduate of AMDA (NY). 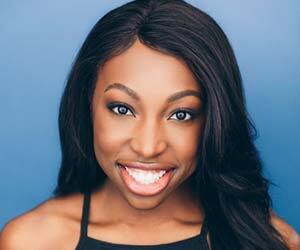 Favorite credits: National and International Tours: Dreamgirls (Asst. Choreographer, Dance Captain, Swing, u/s Lorrell), Rock of Ages (Waitress, u/s Justice). National Tours: Bright Star by Steve Martin and Edie Brickell. Select regional credits: Mary Poppins (Bert), Thoroughly Modern Millie (Jimmy), West Side Story (Riff), I Only Have Eyes for You (Busby Berkeley), Cats (Munkustrap, Rum Tum Tugger), Bye Bye Birdie (Albert Peterson), Meet Me in St. Louis (Lon), Dames at Sea (Lucky), Cinderella (Prince Charming) and Grease (Kenickie). Grazie mille to the most amazing family and friends – and to the entire creative team for bringing me back to my roots. For my doo-wop lovin’ Mama! 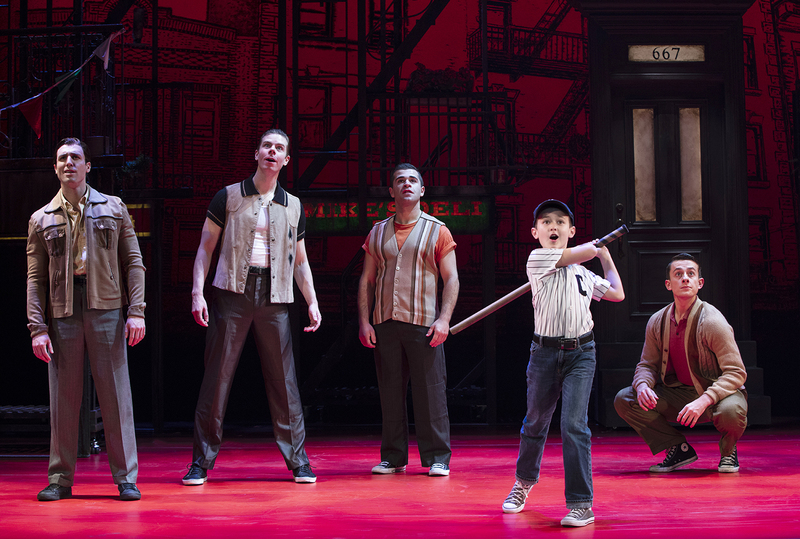 Broadway: A Bronx Tale (Swing). Regional: Little Shop Of Horrors (Chiffon), Avenue Q (Gary Coleman), and Rent (Joanne). Off-Broadway: Pete The Cat (Olive) and Junie B. (Lucille). Independent Film: Mott Haven. Love to Mom, Armen, my family and friends. Much gratitude to the Creative Team, Casting, CBU Management and JC William Agency. MFA, Boston Conservatory. 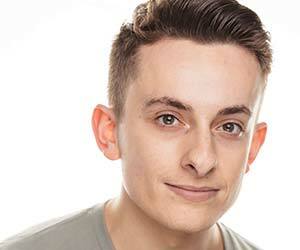 Alex is elated to be making his national tour debut! Regional: Sweet Charity (Marriott Theatre); Titanic, Beauty and the Beast, Newsies, Thoroughly Modern Millie (Pittsburgh CLO); Mamma Mia! 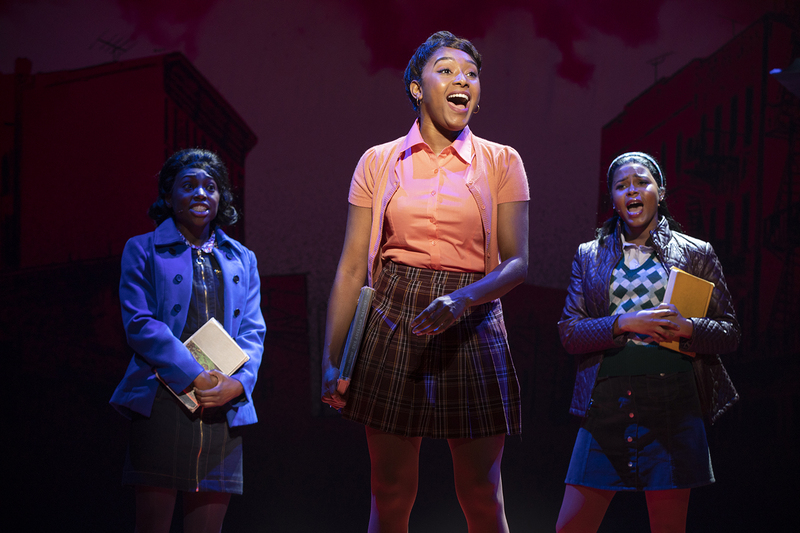 (Ogunquit Playhouse); Gypsy, Big River (Sharon Playhouse). Undying gratitude to his family, The Krasny Office, Tara Rubin, and Penn State. 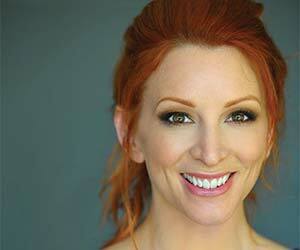 Brittany is overjoyed to be performing in her first National Tour! 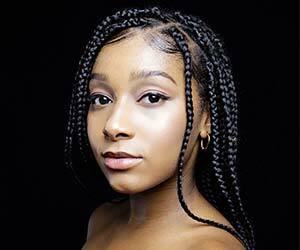 She is an Ailey School and AMDA NY alumnus. Regional Theatre: Mamma Mia! at Arkansas Repertory Theatre, Annie Get Your Gun at Westchester Broadway Theatre. Glory to God! Thanks to my family, teachers, Tara Rubin Casting, and the BXT team! National/International Tours: Dreamgirls (South Korea), Madagascar Live! (Skipper). 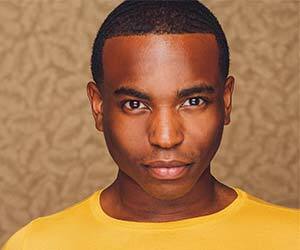 Regional: Smokey Joe’s Cafe (Victor), Burt and Me (Jerry), Lysistrata Jones (Tyllis), Tarzan, Memphis, Chicago. Directorial: PJ Masks Live! (Asst Dir/Choreographer), Daniel Tiger Live! (Asst Dir/Choreographer). All thanks and love for the unwavering support of my amazing family and friends! 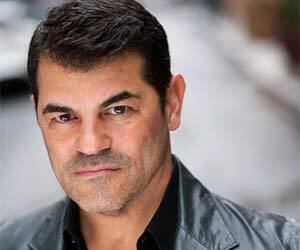 Chazz wrote and performed his one-man show, A Bronx Tale, for the first time in 1989 before moving it Off Broadway. Mr. Palminteri went on to write the screenplay and co-star in the screen adaptation of A Bronx Tale alongside Robert De Niro. Mr. Palminteri has more than 55 movies to his credit as an actor, writer and director, including The Usual Suspects, Bullets Over Broadway (Academy Award® nomination), Analyze This, Hurlyburly, Mullholland Falls, Faithful (also written by Mr. Palminteri), A Guide to Recognizing Your Saints, Yonkers Joe, Jolene and most recently Legend starring Tom Hardy. 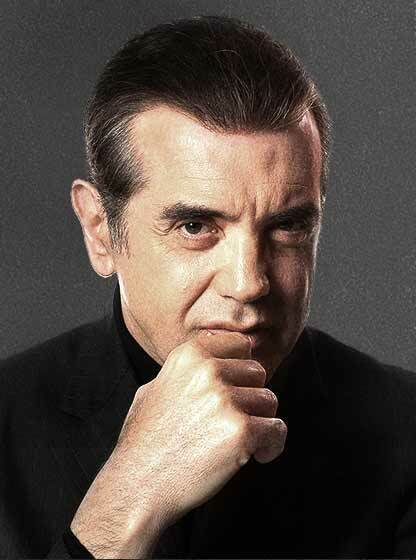 Mr. Palminteri had a recurring role on the hit show Modern Family and has starred in Blue Bloods. 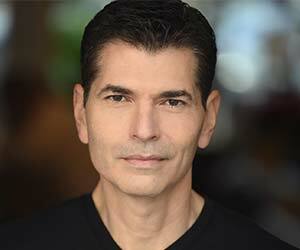 Mr. Palminteri directed the HBO series Oz (episode “Unnatural Disasters”), Showtime’s Women vs Men, and the feature film Noel starring Susan Sarandon, Paul Walker and Robin Williams. Stage musicals: God Bless You Mr. Rosewater, Little Shop of Horrors, Beauty and The Beast, A Christmas Carol, The Little Mermaid, Sister Act, Leap of Faith, Newsies, Aladdin, The Hunchback of Notre Dame, The Apprenticeship of Duddy Kravitz and A Bronx Tale. Film work: The Little Mermaid, Beauty and The Beast (Animated), Newsies, Aladdin, Pocahontas, The Hunchback of Notre Dame, Hercules, Enchanted, Tangled, Sausage Party, Beauty and The Beast (Live Version). 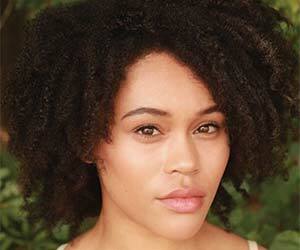 Television credits: Sesame Street, Lincoln, The Neighbors, Galavant, Tangled. Awards: 2012 Tony, Drama Desk; 8 Oscars®; 11 Grammy® Awards; 7 Golden Globes; London’s Evening Standard; the Olivier and Outer Critics Circle. Other: Songwriters Hall of Fame (both inducted and Johnny Mercer Award), Billboard’s #1 single and album, Disney Legend, star on Hollywood Walk of Fame. Doctorates from NYU and the North Carolina School of the Arts. 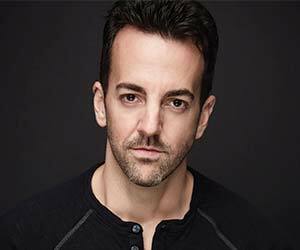 Internationally recognized choreographer and recipient of a 2015 Olivier Award for Choreography for Memphis, 2016 Tony Award nominee for On Your Feet. In 2011, Mr. Trujillo had the honor of having four shows simultaneously running on Broadway: Tony Award-Best Musical Memphis, (Olivier/Outer Critics Circle Award, Drama Desk and Astaire Award nominations), Tony/Olivier Award-Best Musical Jersey Boys (Greenroom Award, Olivier, Drama Desk, Dora, Outer Critics Circle Award nominations), Addams Family, Next to Normal. 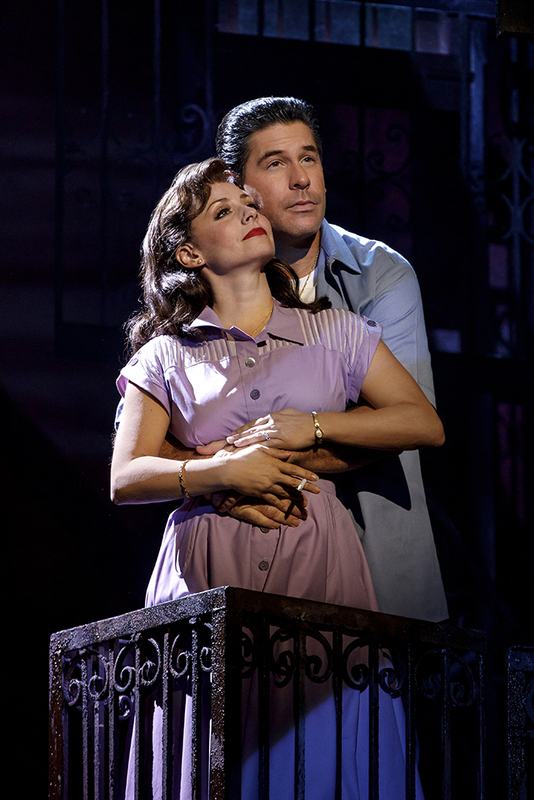 Other Broadway: A Bronx Tale, Hands on a Hardbody (Drama Desk nomination), Leap of Faith (Drama Desk nomination), Guys and Dolls (Astaire Awards nomination), All Shook Up. 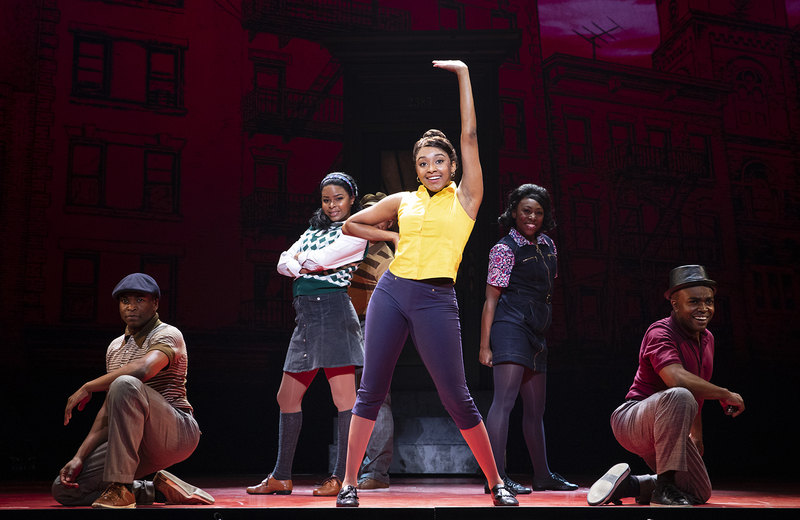 Additional Theatre: Carmen (Helen Hayes Award nomination – Olney Theater), Invisible Thread (Second Stage), Gloria Estefan on Broadway (Minskoff Theatre), Flashdance (National Tour), Freaky Friday and The Wiz (La Jolla Playhouse), Public Theatre’s Romeo & Juliet. Internationally: Tarzan (Disney), Arrabal(Panasonic Theatre – Toronto), Peggy Sue Got Married (West End), The Sound of Musicand West Side Story (Stratford Festival), Kiss Me Kate (Tokyo). TV/Film; Jersey Boys (directed by Clint Eastwood), SYTYCD (Canada), Triple Sensation, The 14th American Comedy Awards, Broadway: The American Musical for PBS. Upcoming: Ain’t Too Proud(Berkeley Rep), The Donna Summer Project (La Jolla), Arrabal (ART). Robert De Niro is considered one of the greatest American actors of all time, and has produced, directed and starred in many iconic films. Mr. De Niro won the 1974 Academy Award® for Best Supporting Actor for his role in The Godfather: Part II and the 1980 Academy Award for Best Actor for his role in Raging Bull. Mr. De Niro received Academy Award nominations for Taxi Driver, The Deer Hunter, Awakenings, Cape Fear and Silver Linings Playbook. Mr. De Niro is a four-time New York Film Critics Circle Award winner for his work on Taxi Driver, Raging Bull, Goodfellas and Awakenings. In addition to winning the 1981 Golden Globe Award® for his work on Raging Bull and winning the 2011 Cecil B. DeMille Award, Mr. De Niro was nominated for a total of seven Golden Globe Awards. Mr. De Niro was nominated for six British Academy of Film and Television Arts Awards. 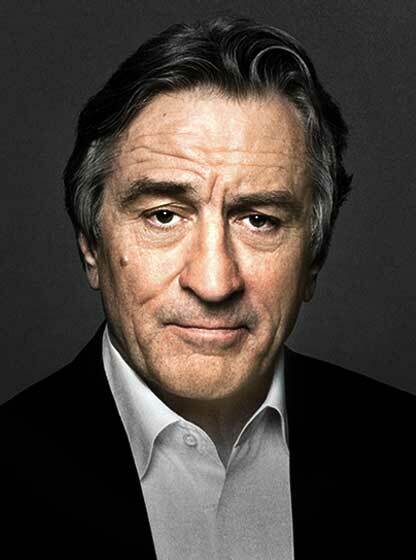 Mr. De Niro starred in many other films including Mean Streets, Bang the Drum, Analyze That, Meet the Fockers and more. Mr. De Niro made his Broadway debut in the 1986 play Cuba & His Teddy Bear. Mr. De Niro founded his own production company, Tribeca Film Center, and made his film directorial debut in 1993 with A Bronx Tale. 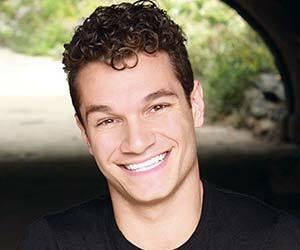 Jerry Zaks is currently represented on Broadway by Hello, Dolly! and Meteor Shower. 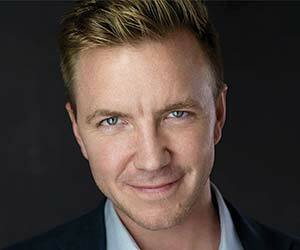 Mr. Zaks has directed more than 30 productions in New York. He has received four Tony Awards and been nominated eight times. 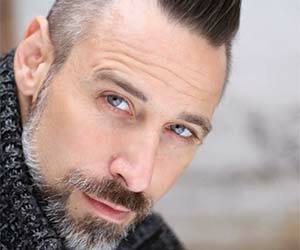 He has also received four Drama Desk Awards, two Outer Critics Circle Awards, and an Obie Award. 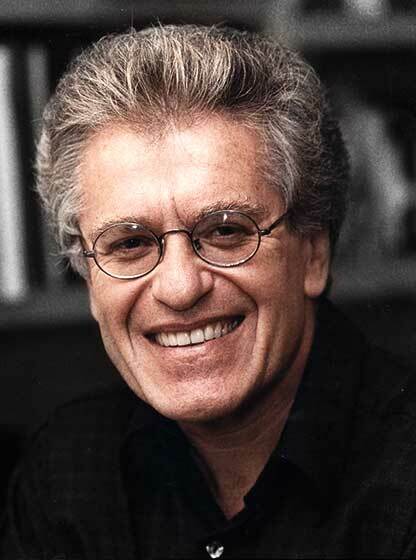 His credits include Shows for Days, Sister Act, The Addams Family, Guys and Dolls, Six Degrees of Separation, Lend Me a Tenor, The House of Blue Leaves, The Front Page, A Funny Thing…Forum, Smokey Joe’s Café, Anything Goes, La Cage aux Folles, Little Shop of Horrors, The Man Who Came to Dinner, The Foreigner, A Bronx Tale, Laughter on the 23rd Floor, and the original production of Assassins. 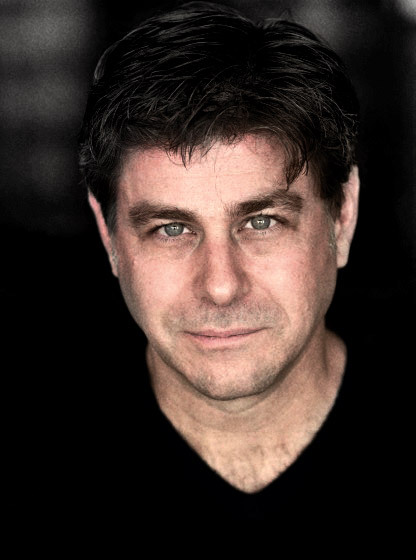 He began his career directing the extraordinary plays of Christopher Durang including Sister Mary Ignatius…, Beyond Therapy, Baby with the Bath Water, and The Marriage of Bette and Boo. He directed the award-winning film Marvin’s Room, starring Meryl Streep and Diane Keaton and Who Do You Love, which was featured in the Toronto Film Festival. 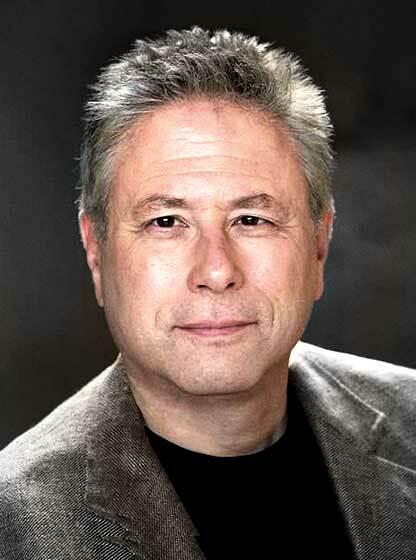 Mr. Zaks is a founding member, and serves on the board, of the Ensemble Studio Theater. He graduated from Dartmouth in 1967, received an MFA from Smith College in 1969, and was awarded an honorary Doctorate of Fine Arts from Dartmouth in 1999. Zaks received the SDC’s George Abbott Award for Lifetime Achievement in the Theatre and is a 2013 inductee to the Theatre Hall of Fame. The show runs 2 hours, including one 15-minute intermission. Are Chazz Palminteri and Robert De Niro in the show? 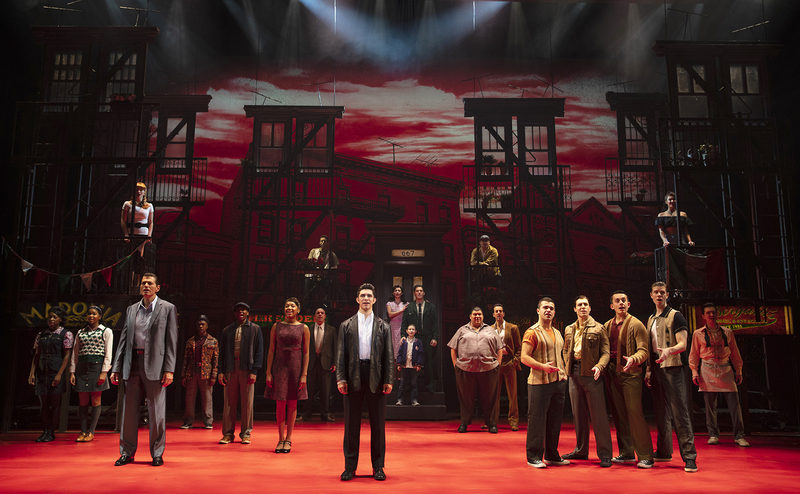 While Chazz Palminteri and Robert De Niro do not perform in the show, their amazing work can be seen every night on stage—Mr. Palminteri wrote the book and Mr. De Niro co-directed the production alongside Jerry Zaks. Is this a good show for families? Yes, this is a great show for families—recommended for ages 12+ due to strong language and gun shot effects. Where can I buy A BRONX TALE merchandise? Visit ABronxTaleStore.com to get all the best swag. Is there a cast recording and where can I buy it? Yes, the Original Broadway Cast Recording is available for download/purchase on iTunes, Amazon and Ghostlight.